Lies show a learned manner of perceiving social interaction. It displays an acute cognizant awareness of social norms and conventions belonging to the cultural group in which the perpetrator of the lie finds himself. This type of social hyper-perception is exemplary of an off the scale EQ as opposed to IQ. Howard Gardner has proposed a divergent view of IQ and how people learn, process and store information. He asserts that there are 8 separate techniques (bodily/kinesthetic, interpersonal, intrapersonal, linguistic, logic-mathematical, musical, naturalistic, and spatial) which can be utilized. These methods lead to multiple yet separate intelligences which allow people to process similar information. Children have been clinically tested on their behavioral responses and have shown that they lie when a situation dictates that the observer could be disappointed or when the rules which were dictated were breached. Although the children were assessed and scaled on the completely culturally subjective scale of IQ, it nonetheless, revealed them possessing a high IQ. If we can stretch an extrapolation out of IQ (all the while remembering the extensive range of individual intelligences) then we can arrive at the conclusion that these children hold a higher intelligence to those who don't lie or lie less frequently. Lying is so ubiquitous that even the most pious among us lies from time to time depending on the circumstance. Two types of lies appear; those lies which are for egoistic or narcissistic gains and those which are better deemed fibs which are, I assert, altruistically motivated. There are numerous ways of semantically expressing the difference between lies for egoism and narcissism on one edge of the spectrum and selflessness and altruism on the other. Call them “bald-face lies” or “bold-face lies” to denote narcissistic lies and “fibs” and “white lies” to signify altruistic lies. Whatever we collectively decide to call them they are prevalent in our society and we all use them. How many of us have ever answered this moral conundrum: “Does this dress, shirt, skirt, blouse make me look fat?” How we answer that question depends entirely on our perception of the situation. We first make a hasty evaluation of meaning by weighing our framework of what the word fat entails and then counter balancing it with the perceived meaning of the person asking it. This supplies us with three possible answers: 1) based on a mutual understanding of “fat” a response of “no”; 2) based on a mutual understanding of “fat” an omission or diversion is given “it brings out the gorgeous color of your eyes”; 3) based on a mutual understanding of “fat” a response of “no, no not at all” is given. Whatever the choice an incredible amount of neural processing is being accomplished. It taps into our primal desires to be part of a collective whole and belies the fact that we want this seem to be doing the right as we're caught in a struggle between honesty and loyalty. Not only do we lie to those closest to us in a familial sense we regularly lie to those on the periphery of our immediate society. When a shop clerk asks you how are you doing today we more often than not feign an honest answer by fibbing: fine/good/ok. If we take the time to contemplate and reflect on the fact that we all lie to achieve social equilibrium then that self awareness glares back at us like a deer caught in the highlights. We all do it and we do it all the time. 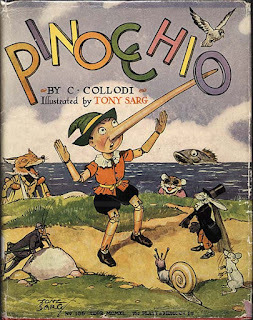 Strangely and paradoxically we inundate our children with fables, myths and parables of why they shouldn't lie. As parents we have an ace up our sleeves all year. We semi-reluctantly restrain our children's behavior by tell them that Santa Claus won't bring any presents this year for Christmas if they keep lying to their parents. 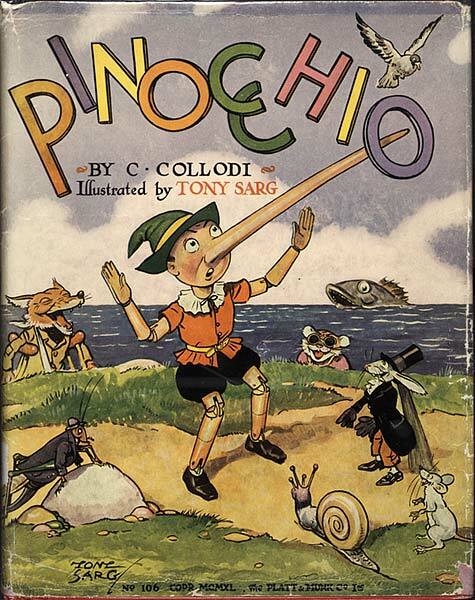 The tale of Pinocchio showcases what horrific things happen to a child with a Tourette like compunction to lie. I am sure there are reams and reams of similar parables which scare children into attempting to tell the truth by waring them of the not so happy consequence. If we adults can see the benefits of lying to the check out clerk at the supermarket shouldn't we keep encouraging our kids to lie?